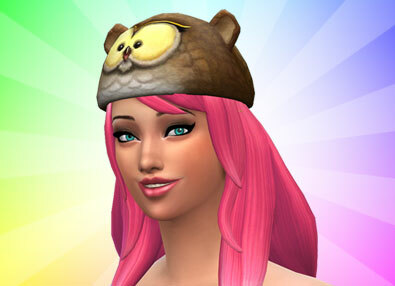 The Awesome Animal Hats can be obtained if you have The Sims 4 Digital Deluxe (Upgrade). These animal hats are a nice addition to your Sims game because they can instantly change your Sims emotion when your Sim is Happy or Neutral. If you need to change to other emotions there are other methods to do that. Every Animal hat gives off a different emotion. When you put on one of these Animal hats you will get a 6 hour emotional moodlet. If you take the Animal hat off, the moodlet will disappear. When you change between hats, the moodlet will change with it. You can change the Animal hats if you click on a dresser and choose the option ‘Plan Outfits’. Caffeine can be toxic to birds! Lucky owls don't fit that bill. Wiggle that wattle! Preen those feathers and flap those wings! Bulls beware! This cow's udderly fabulous. Stripes make the perfect camouflage! Faux-fur upholstery is totally in. While talking trees make perfect back-scratchers, their plaintive cries for help get positively irritating. Has anyone ever seen a happy panda? Hunt prey! Ravage enemies! Roar loud enough for the whole block to hear! 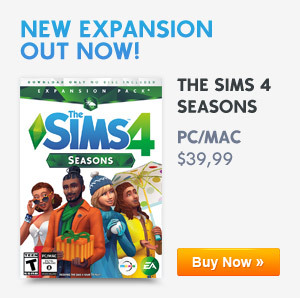 Did you find this guide useful? Leave a reply! I didn’t know hats gave off emotional auras! What a great tidbit. Thanks! Great piece of info, thanks! You otter look come up with one, because that is a great idea (the focused otter hat.)! Scratch the random “look” in the comment. My bad!